We believe in global community. We believe in the exchange of art,culture,and ideas. We believe in extending the hand of friendship. COBREU is a collection of cultures, dreams, stories and friends. We are two travelers that were lucky enough to make Salvador our home. We believe in sharing the best of this city with our guests; from nights out dancing, to footbal games, to playing poker inside on a rainy day. We never tire of making our home a beautiful safe haven for travelers. We welcome all our friends we just haven't met yet to make Cobreu your base as your world opens up in this fascinating city. We have a minimum booking of 3 nights from Dec. 30-Jan 1. Hostel Cobreu is located on the Ladeira do Carmo 22, in the Historic Center of Salvador. The historic house was originally home to a very famous Bahian poet. The building itself sits on the Escaderia do Pao, a historic stairway and Tuesday night dancefloor for the biggest and best street party in Pelourinho. From the airport or rodoviaria, take any bus to Praa da Se. 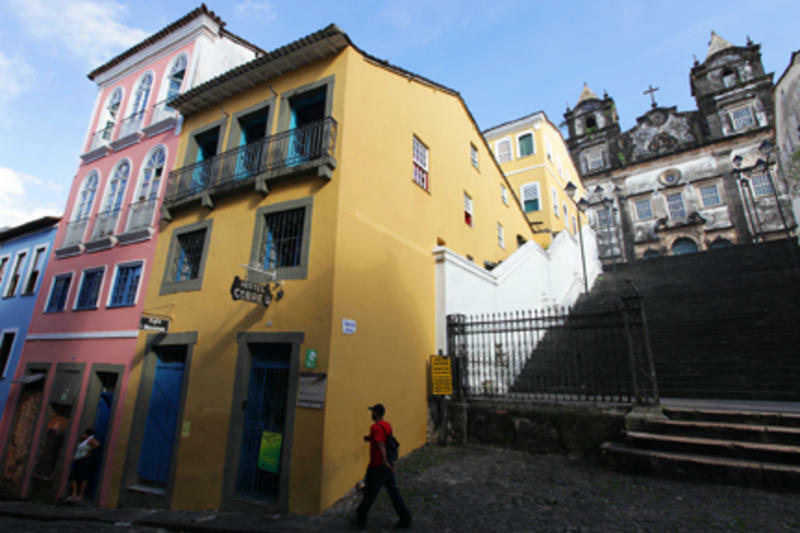 Walk through the Pelourinho towards Santo Antonio. Cobreu is the last building before the stairs on the left of the street. After 6pm, Sunday, and holidays, we advise you take a taxi.